Leading Manufacturer of wilden air operated double diaphragm pumps, air operated double diaphragm pump, chemical process pump, polypropylene pumps, diaphragm pumps and metering and dosing pump from Nagpur. We are leading distributor and supplier of Wilden Air Operated Double Diaphragm Pumps. We are looking most of the inquiries from Vidarbha, Chattisgarh And Madhya Pradesh. 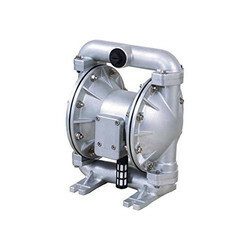 Since the inception of our company, we manufacture and supply the best quality of Air Operated Double Diaphragm Pump. Used for various liquid pumping applications, the rendered air operated double diaphragm pump is manufactured as per the industry laid norms. Their easy operations and longer serving life, makes the pumps highly demanded. Backed by years of experience in this domain, we manufacture and supply premium quality of Chemical Process Pump. Owing to their high flow rate, optimum pumping capacity, and compact design, the rendered chemical process pumps are highly demanded. 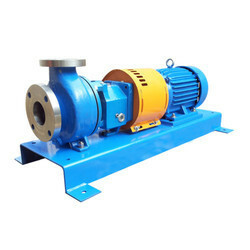 To engineer the rendered chemical process pump, we make use of latest technology. Motivated to attain maximum customer approval, we render the finest quality of Polypropylene Pumps. 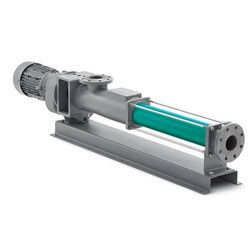 Used in steel industries for handling continuous processing acid picking line, the rendered polypropylene pumps are easy to operate and requires minimum maintenance. To meet the precise needs of our clients, we render the polyethylene propylene pumps in different technical specifications. These pumps are normally used for transferring acids alkalis and also for loading - unloading of acid - alkalis road tankers. 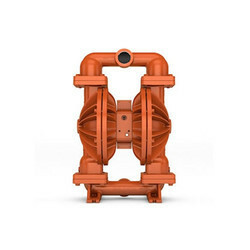 We manufacture and supply the best quality of Diaphragm Pumps. For tank cleaning, the rendered diaphragm pumps are used in petrochemical industries. In addition to this, the rendered diaphragm pumps are highly demanded in chemical, food processing, paint & ink and pharmaceutical industries. 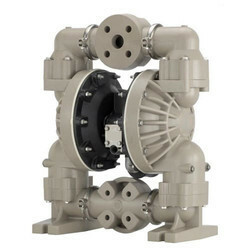 Besides this, the rendered pumps are rendered by us at cost-effective prices. Being the market leader of this domain, we manufacture and supply the premium quality of Metering and Dosing Pump. For pumping of highly viscous liquids from one place to another, the rendered metering and dosing pump are used. To ensure high standards of quality, the rendered metering and dosing pumps are checked on different quality assurance procedures. We are one of the trusted names of the market engaged in offering a genuine quality range of Sanitary Pumps to the customers. These pumps are fabricated using high-quality raw material and components that are sourced from the most authentic vendors of the industry. In addition to this, we make prompt delivery of the Sanitary Pumps at the clients' premises.